You might remember that I've written before about crafting with Posca pens. At Christmas I decorated some wooden Christmas ornaments, and I've also used Posca pens to decorate notebooks and stones. 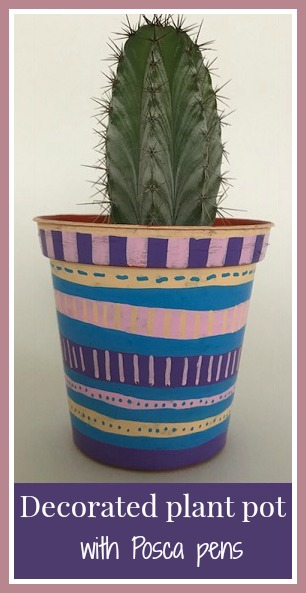 The lovely Pastel Posca PC-5M pens come in a great range of colours for some summer crafting, and I've been using them to decorate some simple plastic flower pots. I was sent a range of lovely pastel colours, which all work really well together in different colour combinations. I used the pens to decorate some simple plastic flower pots. First I cleaned the pots thoroughly, and then I gave them a light sanding to make sure that the colour would stick. Posca pens are really good at covering different surfaces though, and to be honest this wasn't needed! The colour goes on from the pen with a really smooth application and dries very quickly to a matt finish. It dries quickly enough that you can use another colour next to it almost straight away. The colours go on top of each other really well too, even if you are using a lighter colour on top of a darker colour, meaning that it's easy to touch up your design and make sure that the lines between different colours remain smooth. It's also easy to embellish your design after putting down a base colour. I have three little cactii in my bathroom that were previously sitting in plain white pots, popping them inside my new brightly coloured pots has really brightened them up! These plant pots will withstand a small amount of water, but if you think that the pot will get very wet then it would be a good idea to varnish them. Alternatively you could just use them for storage around the home, perhaps for pens or paintbrushes! This would also be a great craft for children to make as a gift which could be planted with a flower or even just filled with sweets or other treats. This post was written in collaboration with Posca pens. 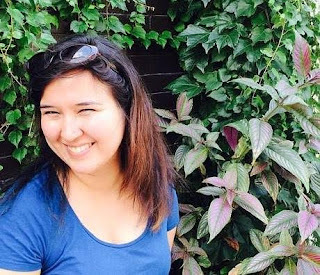 When I started this blog way back in 2011 I didn't know what I was doing. I wanted photos, so I uploaded photos directly through Blogger. I didn't think to resize images, I uploaded them directly from my digital camera. The pictures were enormous, and I quickly filled up my Blogger Picasa storage. I looked for an alternative, and discovered that many bloggers were using Photobucket. It seemed like the perfect option - it was free, and it came reliably recommended. 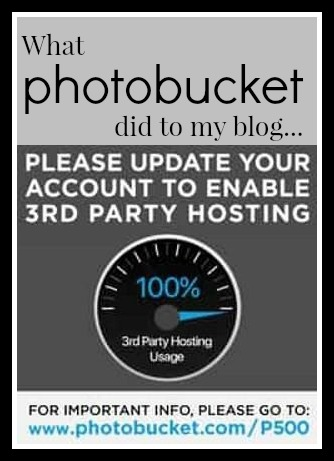 After a couple of years my blog traffic increased, I reached the bandwidth limit on the free Photobucket account and my photos stopped displaying. After a bit of research I was happy to pay $29.99 for a yearly subscription package with Photobucket that came with an increased level of storage and unlimited bandwidth. And this carried on quite happily for a few more years until this summer. 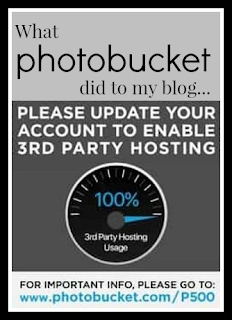 Then at the end of June, Photobucket suddenly announced that it would no longer allow third party linking (aka hot linking) of images unless you upgraded to a higher level account - at a cost of $399 for the year. Well I say they announced it, they didn't notify me directly. I heard about it from a blogging friend and I've still had no official direct communication. The sudden change seemed to affect people in different ways, and those using a free account lost their images immediately. Fortunately I've been unaffected so far, but with my annual subscription due for renewal on the 12th August I knew that I had to act quickly. Paying $399 a year to host my images just isn't going to happen. I looked around and found that over the last few years Google have increased their free storage, and even the lowest subscription tier is a cheaper option than Photobucket. I made the decision to jump ship and transfer over all my images. Of course this is something much easier said than done - I had over 4000 images hosted on Photobucket linked to more than 1300 blog posts on Blogger. Even at the rate of five minutes per blog post that is an enormous amount of work. Of course this all coincided with the beginning of the summer holidays, meaning that all this work now has to be fitted around entertaining the children during the day. I've spent hours and hours uploading and re-linking images whenever I get a chance, working late into the evenings, and I'm barely a quarter of the way through. I've cancelled my recurring Photobucket subscription so it's a race against time to update as many posts as I can before the 12th August - please bear with me if I don't manage it in time! Fortunately I have the majority of my photos backed up elsewhere under a reasonably logical filing system, others aren't so lucky. At the beginning of the process it felt like an insurmountable challenge. I became quite disheartened, and you might have noticed the lack of new posts over the last couple of weeks - I've either been too busy updating photos or simply not had the motivation. But even though I have now only completed a quarter of my blog posts I feel like I've at least broken the back of it - I've updated most of my popular and seasonal posts, and those that are left are ones that can wait a while for new images. On the plus side, it has given me a long overdue push to give my blog a good sort out. 1300 blog posts is a great deal, and there are many old posts that are now either outdated or just irrelevant. I've had a mass delete of old posts - over a hundred have gone and I have another hundred or so that I'm still thinking about. I've deleted reviews for products that are no longer available, previews for events that are long gone, and random posts that were just a couple of sentences. I'm even thinking about sorting out some of my 'in progress' craft posts and putting them all together into one post. I'm not absolutely sure that deleting posts is the best thing to do for a blog, but it makes me and my blog feel lighter for having done so! I've also removed and updated masses of broken links. I run a regular broken link check, but because there are so many blog posts the free online checker doesn't find them all, especially from older posts. I've checked every single link in my blog posts so far and have found many that no longer work. I've also found a few where the original domain has expired and the link now directs readers elsewhere - something that a broken link checker won't pick up. It's given me a push to think about the type of content that I'm publishing. I want my blog posts to be useful, interesting and informative, not just written for the sake of filling up my editorial calendar. So hopefully that's a change that I can make going forwards! The big lesson for me here of course - don't put all your eggs in one basket, and don't assume that just because you are paying for a service it will continue indefinitely! Were you affected by the changes to Photobucket? How are you coping with it? The big drawback to a family holiday at Center Parcs is the price. That's why our recent trips have been to the Belgium parks - they are much more reasonably priced in the school holidays and represent much better value for money. Definitely worth a look if you are Center Parcs fans! We visited Elveden Forest quite a few times before the children started school when we could pick up a reasonably priced short break, but we hadn't been since. Now that the children have moved schools we find ourselves with an extra two weeks of school holiday before most of the schools break up, and so we were able to squeeze in a mid week break in the second week of July at a much cheaper price than later on in the month. We chose Elveden Forest, as although it's not our closest park it usually seems to work out slightly cheaper and we do like it there. It was quite a change for us, as all our previous Center Parcs holidays have taken place out of season in winter or early spring, so we were very excited to see what it was like to experience Center Parcs when the weather is warm enough to actually enjoy, rather than sometimes endure, being outdoors! Something that we did for the first time on this trip was to hire bikes. We paid just over £100 for four bikes from Monday afternoon until Friday morning. We left hiring them until we arrived as we wanted to be sure that we'd have enough dry days to enjoy them. This did mean that there were no bikes left in Harry's size. Not ideal, but he managed fine with a slightly smaller one with the seat right up, and it's our own fault for not booking in advance! Having the bikes was brilliant, it's only recently that both children have been cycling fairly confidently on two wheels, and it was a good way to practice cycling on a road but with hardly any traffic. We also used the barbecue for the first time, having gazed longingly at them in the past through rain splattered windows. They are designed to hold a disposable barbecue, and if you think you might use one it's worth taking one along as they are quite expensive in the shop. As we were planning a couple of barbecues Ram did a trip out to the Sainsbury's up the road to pick up supplies at more reasonable prices. Our cottage was right next to a small lake so we had plenty of duck visitors waiting for the leftovers! We've always felt that we see more wildlife at Elveden than any other Center Parcs and we saw loads this time - it must be the warmer weather! We saw lots of deer, rabbits and squirrels as well as the ducks. As always we spent a lot of time in the swimming pool. The children have really grown in confidence in the water, and they will go on just about all the slides now which is brilliant. The pool has changed a lot since our last visit and there's now a brilliant area for young children with slides, shallow pools and pouring water, as well as a salty lagoon pool. Harry loves the outdoor rapids and will go round and round again, and Mia loves the indoor water slides. When the sun was out the indoor glass dome was really warm, and without coats and jumpers it was much easier to fit things in the lockers! One thing that we've found as the children get older is that it's less difficult to hide the extra activities from them. 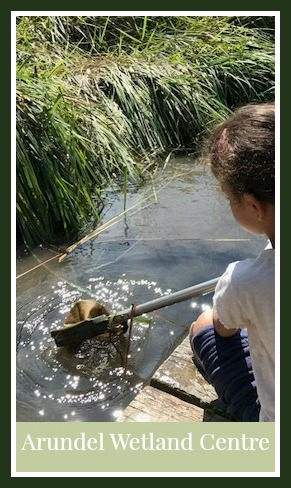 Previously they've been happy with just the swimming pool and play areas, but now they've noticed other children doing fun things like pony riding and tree top adventures and have started clamouring to do them too. Unfortunately the prices for these activities are ridiculously expensive compared to doing them elsewhere, and we've managed to hold out so far, but it's becoming more difficult! We did hire a pedalo for half an hour to explore the lake (which was definitely long enough - it's hard work!) and along with the bikes that's all that we paid extra for (and of course a visit to the Pancake House!). 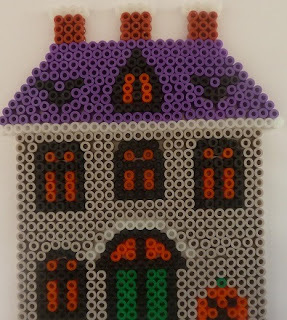 I've shared lots of my Hama bead crafts on this blog over the last few years (you can find them all listed on my Hama beads page!) and because so many of them have a seasonal theme I thought that I'd share some of my favourites, with a Hama bead craft for every month of the year. 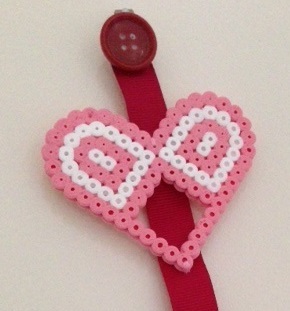 This design is made using mini Hama beads, tiny beads which are placed into position using tweezers. Because they are so small you can make some really detailed projects. A lovely decoration for Valentine's day which can be hung on the wall to add some interest to a narrow space. 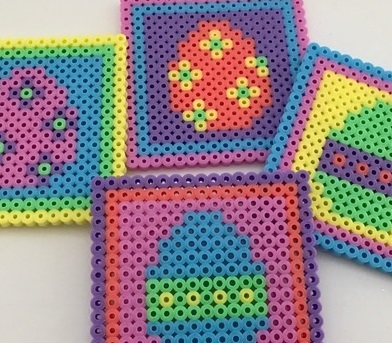 These mini Hama bead Easter Eggs can be used as cupcake toppers or as embellishments for cards or decorations. 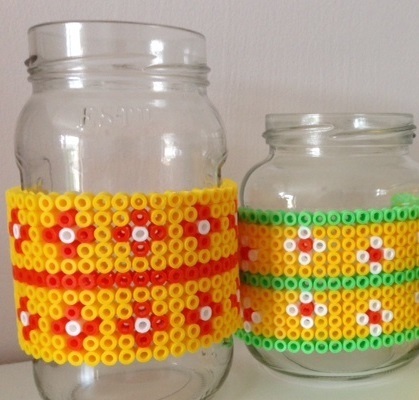 These coasters are made using Spring coloured Hama beads and are a lovely way to brighten up your Easter drinks! This ribbon holder for hair clips is really useful to keep hair clips on display and accessible, but still neat and tidy. You can use some Hama bead projects that you have lying around to make it. 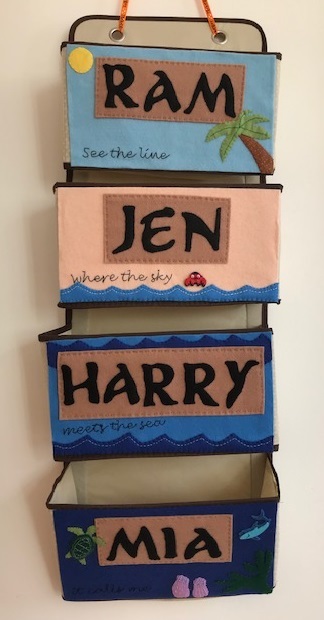 This picture is made using a really simple design and is a great way to use up odds and ends of colours that you have left over from previous projects. These pen holders are stylish and fun and a great way to corral pens, paintbrushes, knitting needles and so on. 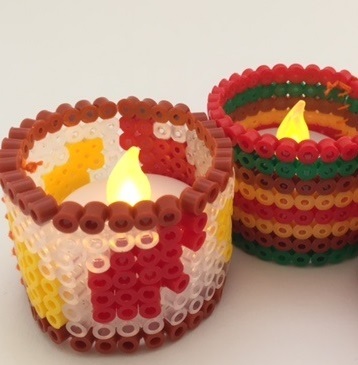 These candle holders are designed to hold battery tea light candles and bring a lovely Autumnal feel to your decor. 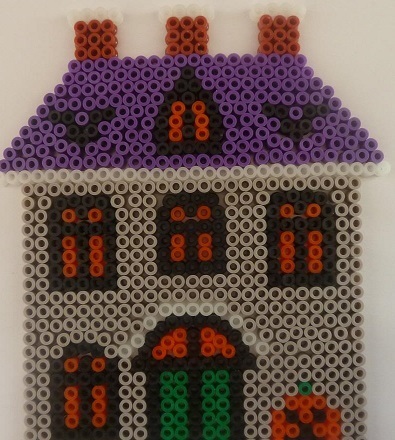 This Hama bead haunted house is a great craft project for Halloween and makes a lovely decoration, perhaps displayed in the window to spook trick or treaters! These Hama bead Rangoli are a great Diwali craft and can be used as decorations around the home or as mats underneath your Diwali food and drink. These baubles can be hung from the tree and are a great craft for children at Christmas - you can make them in all different colours to match your colour scheme. 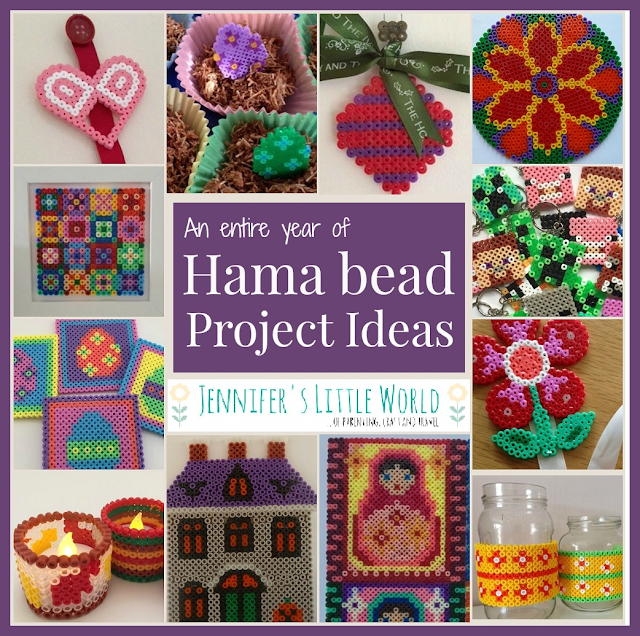 I hope that you enjoyed looking at my Hama bead projects, and perhaps found something to inspire you! 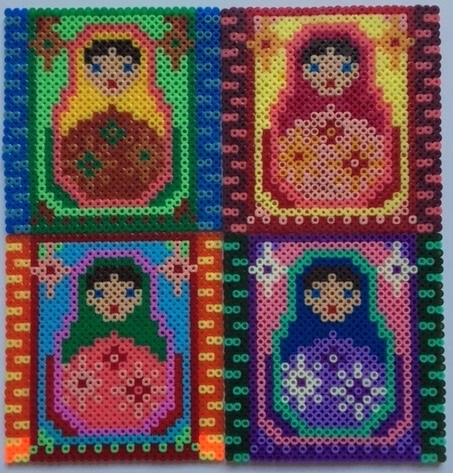 You can find all my Hama bead crafts on my Hama bead page. Tomorrow will mark six years of the Jennifer's Little World blog. I never expected it to last this long, and I never expected it to develop as it has. I began when Mia was just six weeks old as a way to share photographs and news about the children, and of course I still share plenty about the things that we get up to. But it has also changed into a place where I can talk about my own interests, share my crafts, and muse about the things that are going around my head. A big crafty project last year was my Sky Blanket, and it was a great feeling to put together the post about my completed crochet Sky Blanket. I put a lot of work into the blanket and I'm really proud of it! 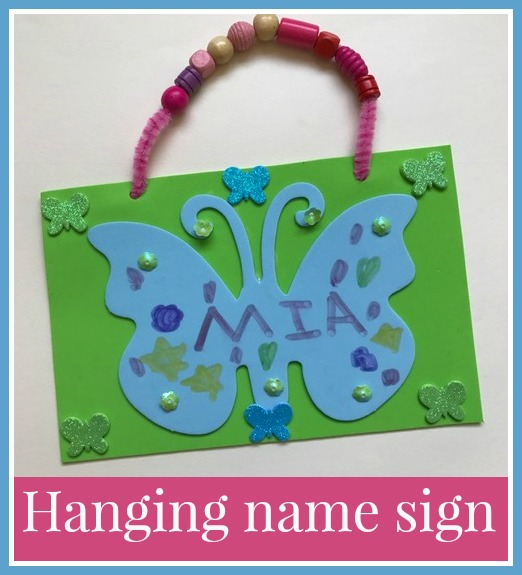 Another craft that I really enjoyed was our summer holiday scrapbook. This project was a collaboration with Fellowes, that I met at BritMums last summer. I was thrilled to receive some fantastic products and we regularly leaf through the scrapbook that we made together, it was a really fun summer craft for us all. As a family we've spent a lot of the last year playing Pokemon Go, which features on the blog from time time, and particularly in my post about playing Pokemon Go at Center Parcs. In fact Center Parcs has featured heavily on the blog over the last few years - I should be on commission! A blog post that I wrote about hangriness in the family definitely struck a chord with a lot of people, and writing it all down helped me to work out what was going on with Mia's behaviour and come up with ways to try and lessen the impact. At the very end of November I was introduced to the idea of Vlogmas, and I immediately jumped straight in, creating a new video every day in the run up to Christmas. You can read about it here and find links to all my videos - Taking part in Vlogmas 2016. It wasn't easy, and it was a lot of work, but it really spurred me on to improve my vlogging. I gave myself a challenge at the beginning of January to publish 52 videos over the year. It's a tough challenge and I've only managed 19 so far so I'm falling behind, but I'm really proud of all the videos that I've made and I love making them. You can find my YouTube channel here if you fancy a watch! I recently encouraged the children to set up their own blogs. I thought it would be fun for them and help them with their literacy. You can see their blogs here - Harry's Blog and Mia's Blog - and I think they are very sweet! 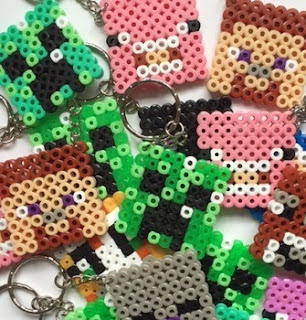 Over the summer I'm hoping that they will do some more work on them, and they have also started YouTube channels to share their Minecraft videos. I try to keep my posting schedule to around three to four posts a week. This is quite a change, as for most of the last six years I've been posting nearly every day. The reason that it has reduced is because I've become far more picky about the reviews that I take on. I no longer review low value items unless I really want the product. This has meant that my page views have dropped, but I hope that it's improved the quality of the posts on my blog. I do sponsored posts although I'm quite picky about them - but I'm afraid that I need to make a little bit of money somehow! 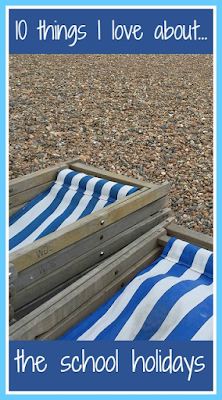 I do share a lot of useful information on my blog for free, so I hope that makes up for it! I had been looking for a place to share my latest crafty blog posts. Nicola at Me You and Magoo and I set up a monthly linky but it was becoming too much work so we switched it to Instagram where it works very well. Each month we change the hashtag, so it's currently #craftingismytherapy_july and over the last couple of months it has really picked up - we have loads of crafters sharing their images with us and it's great to see so many beautiful projects. Do take a look next time you are over there! A big problem that is currently facing my blog has been caused by Photobucket. I have been hosting all of my images on Photobucket for several years now, and I pay for a yearly subscription that allows enough bandwidth for my blog. 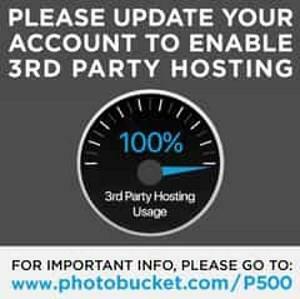 A couple of weeks ago, Photobucket changed their terms of service with no warning, and they now no longer allow third party linking of images unless you upgrade to a higher package (around £310 for the year). I've not been affected yet fortunately, but my subscription is due for renewal in August and I suspect that is when I'll hit problems. I can't afford to spend that much on image hosting so I'm going to need to find an alternative. That then means that I will have to go back through well over 1000 blog posts and re-upload and re-link the images. So please bear with me if you see any broken image links on older posts, I will get to it all eventually but especially with the summer holidays it is going to take a lot of time! I had assumed that because I was paying for the Photobucket service it would be a good long term solution, so there's a lesson there not to rely too heavily on other providers! Whatever happens, like many others I'm definitely not going to be using Photobucket for any longer than necessary. I often struggle with defining a niche for my blog. My two main topics are craft and travel, alongside a bit of general parenting. Quite varied topics! I don't have the time or inclination to set up different themed blogs, so it's all going to stay here. Perhaps it can all be grouped under the heading of a 'lifestyle blog'! I'd like to increase my posting frequency, but I want to be careful to make sure that I'm posting quality posts rather than filler posts. I'd also like to work on some more brand collaborations, particularly with crafty brands. 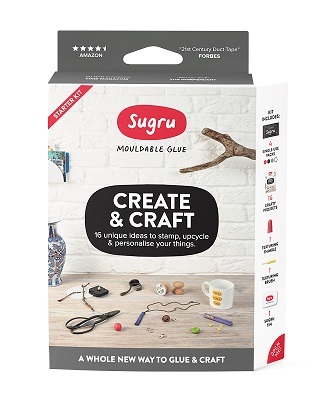 I'm sure there are lots of fab new craft products out there that I could showcase! Of course travel collaborations would be nice too, but I'm not the only one with that idea and the blogging world is ever more competitive! Whether you are a new reader or you've been around for a while I'd like to thank you for listening to my ramblings, and I'd love to hear back from you with what you enjoy or don't enjoy about my blog! 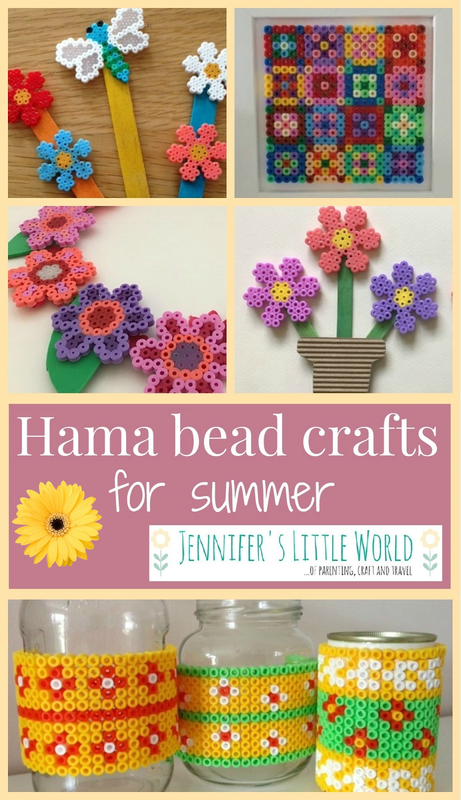 If you are looking for some activities to keep children busy over the summer holidays, why not try some Hama beads! 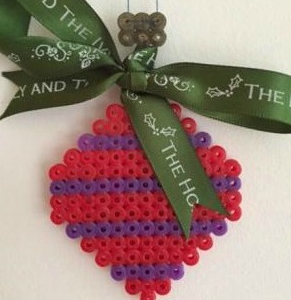 We've been crafting with Hama beads for several years now, and if you are a regular reader of my blog you'll have seen the many Hama bead crafts that I've shared. Today I've put together some ideas for fab summer Hama bead crafts, and you can find more on my Hama beads page. 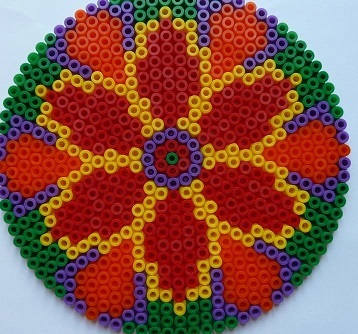 The flower Hama bead pegboard is available in both a large and a small size. I recently received the smaller Hama bead flower board and we've been using it for lots of crafting lately. My first craft was this Hama bead flower wreath, a really simple yet pretty wreath that looks great as a summer decoration. 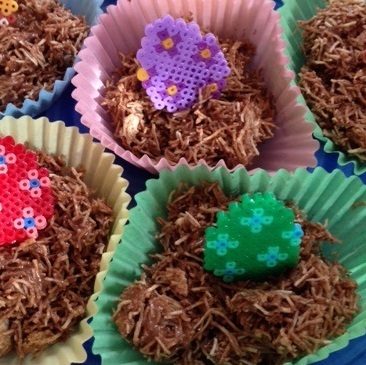 You can make the flowers in lots of different ways and use a range of bright, cheerful colours. We've also been using the board to make keyrings and magnets. For some reason I've found that the boxes of mixed beads contain more yellow than any other colour! Perfect for these summery Hama bead covered pen holders which are great for holding pens, knitting needles, paintbrushes and so on, they really brighten up my desk. 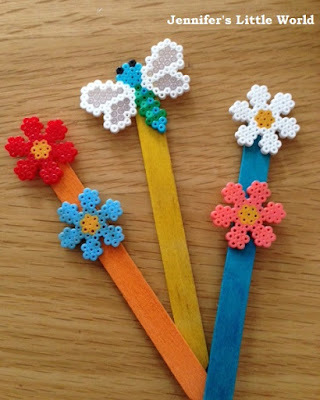 If you don't have a mini flower pegboard you can use a hexagon shaped board to make similar looking flowers, like these in this Hama bead flower bouquet craft. The finished bouquets can be used as summer decorations, or perhaps for the front of a greetings card. 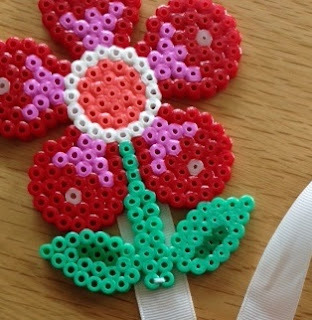 I made a smaller version of these flowers using mini Hama beads to make Mini Hama bead decorative plant markers. The plant markers can be used to brighten up pot plants around the house. Finally I love my Hama bead quilt style picture, a great way to use up beads in odds and ends of colours that you have leftover from previous projects. It sits in my bathroom and cheers me up every time I brush my teeth! If you liked these Hama bead crafts, you can find more on my Hama beads page!